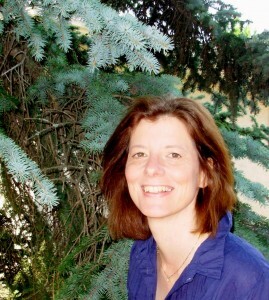 Claudia Eppert is an associate professor in the Department of Secondary Education at the University of Alberta. She received her doctorate from OISE/University of Toronto in 1999, and was an assistant/associate professor at Louisiana State University for eight years, during which time she taught undergraduate and graduate courses in English education and curriculum theory, and also served as faculty for the interdisciplinary program in Women’s and Gender Studies. She returned to Canada to join the University of Alberta in 2007. In part influenced by her experiences living in Germany, Myanmar, the U.S., Canada, Iran, and Singapore during her formative years, her writing over the last two decades has been focused upon the ethical and pedagogical complexities of witnessing social/environmental suffering and trauma, and upon the possibilities of social/ecological justice, healing, and transformation, particularly through engagements with literature, art, media, commemorative practices, mindfulness and contemplative pedagogies and practices. Her research is informed by continental philosophy (eg. Levinas, Derrida, Weil), hermeneutics, critical theory and pedagogy, literary and cultural studies, aesthetics, critical affect studies, and also by the Upanishads, Buddhist philosophies, and Daoist teachings, as well as other wisdom traditions. She has been engaged in Vipassana meditation for fourteen years, and has also spent years practicing yoga and tai chi. She teaches a graduate course in Mindfulness, Wisdom and Contemplative Pedagogies for a More Just, Compassionate, and Sustainable World, and in the winter of 2016 will be teaching a course titled Toward a Curriculum of the Heart. Eppert is co-editor with Roger I. Simon and Sharon Rosenberg of Between Hope and Despair: Pedagogy and the Remembrance of Historical Trauma and also co-editor with Hongyu Wang of Cross-Cultural Studies in Curriculum: Eastern Thought, Educational Insights. She was co-editor with Daniel Vokey of Paideusis: The Journal of the Canadian Philosophy of Education Society. They recently co-edited two special issues on Contemplative Practice, Education, and Social Transformation. She is author of numerous journal articles and book chapters. Eppert, C. (2013). Awakening education: Toward a rich tapestry of mindful and contemplative engagement for social/environmental transformation. In J. Lin, E. Brantmeier, & R. Oxford (Eds. ), Re-envisioning higher education: Embodied pathways to wisdom and social transformation (pp. 337-351). Charlotte, N.C.: Information Age Publishing. Eppert, C. (2012). ‘Walking the talk’: East-west reflections on forgiveness, remembrance, and forgetting. In P. Ahluwalia, S. Atkinson, P. Bishop, P. Christie, R. Hattam, & J. Matthews (Eds. ), Reconciliation and pedagogy (pp. 65-94). New York: Routledge. Eppert, C. (2010). The ‘war within’: Ethical and spiritual responsibilities to children in an age of terror and consumerism. International Journal of Children’s Spirituality, 15 (3), 219-232. Eppert, C. (2010). Heartmind literacy: Compassionate imagining & the four Brahmavihāras. Paideusis: Journal of the Canadian Philosophy of Education Society, 19 (1), 17-28. Eppert, C. (2009). Remembering our (re)source: Eastern meditations on witnessing the integrity of water. In M. McKenzie, H. Bai, P. Hart, & B. Jickling (Eds. ), Fields of green: Re-storying culture, environment, and education (pp. 191-210). Hampton Press.